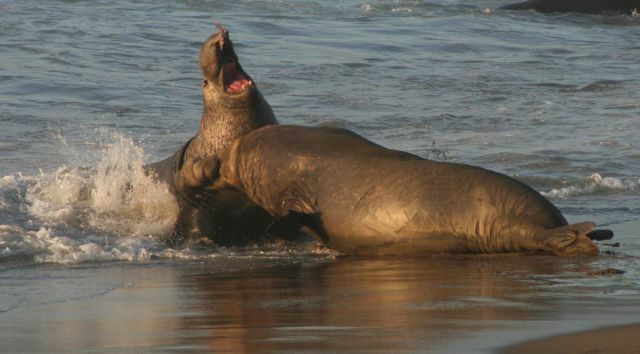 Two bull elephant seals fighting. Male elephant seals are territorial, and will fight for control of a rookery beach and access to females. The alpha male is defending his harem from a male coming onto the beach.